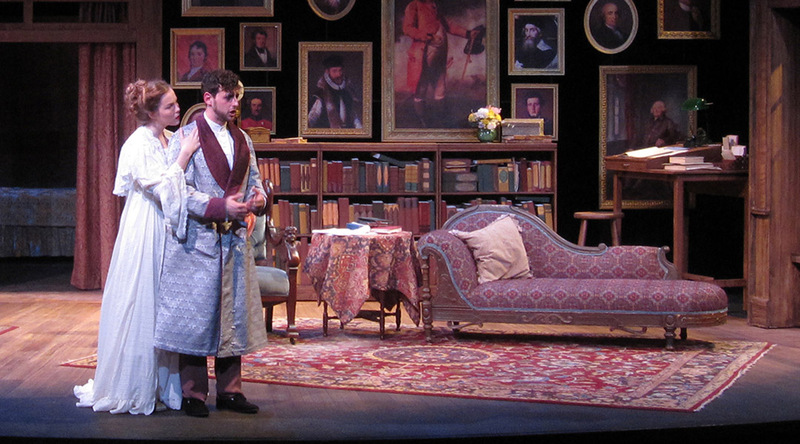 UIW Theatre Arts produces in two venues: The Coates Theatre and the Cheever Theatre. These are both located in the Elizabeth Huth Coates Theatre Building. This building also houses the scene shop, a design studio, props storage, a department library, the Theatre Arts Box Office, and a spacious lobby. Most Theatre Arts performance and directing classes take place in the theatre spaces. The Halligan-Ibbs Theatre building is adjacent to the Coates Theatre Building. This building houses the Theatre Arts offices, Costume Shop, a traditional classroom, the Green Room, Theatre Arts callboards, a dance studio, and dressing rooms. The Coates Theatre is a surprisingly intimate 270-seat proscenium arch theatre that serves as a performance space and as an exciting place to creatively apply techniques and principles learned in department courses. Cheever Theatre is a studio theatre that seats 75-100 patrons depending on the stage/audience configuration chosen for the production. The Cheever provides students a performance space that is intimate and incredibly flexible, and is wonderful space in which student designers and performers may experiment. Fully equipped property, costume, and scene shops support both theatres. Students learn a wide range of skills in these shops, and learn to use both basic equipment and high-tech computer assisted design software. For more information about the Scene Shop, contact Production Manager Justin Bennett. For more information about the Costume Shop, contact Costume Shop supervisor Yesi Grancharoff or Costume Designer Margaret Mitchell. Our box office serves both theatres and uses the same highly sophisticated software program used by many professional theatres in the United States, and abroad. For more information about the Box Office, contact Box Office Manager Chrissie Young.